RM Interiors are delighted to present you this handmade wall mounted clock, using reclaimed wood. 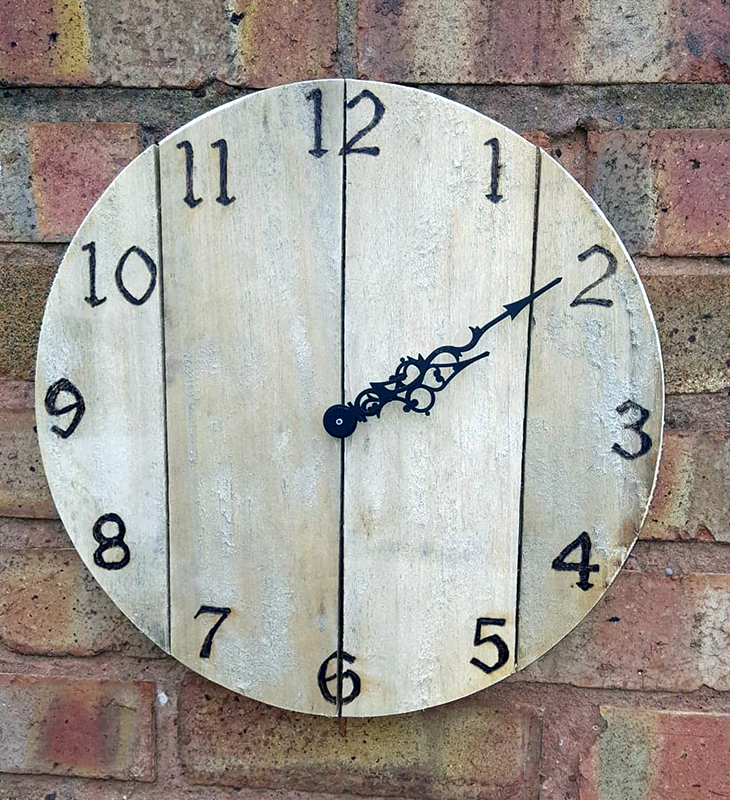 This beautifully hand made wooden clock is the perfect solution for your home or office. 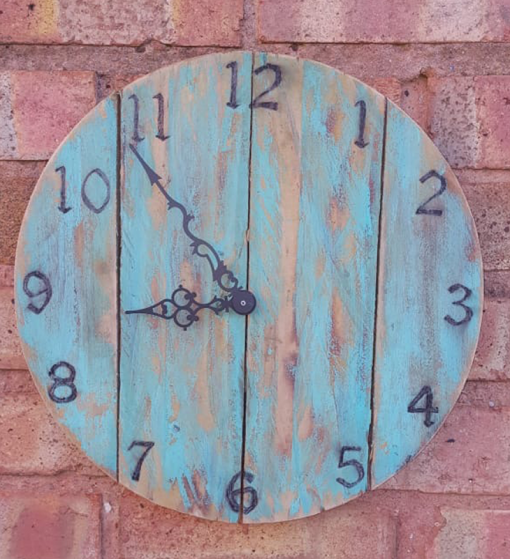 The clock style is finished in its natural state or a distressed patina (pattern is not uniform and varies from photo shown), dimensions approximately 13″. Quiet clock movement and battery included, ready to be wall mounted. 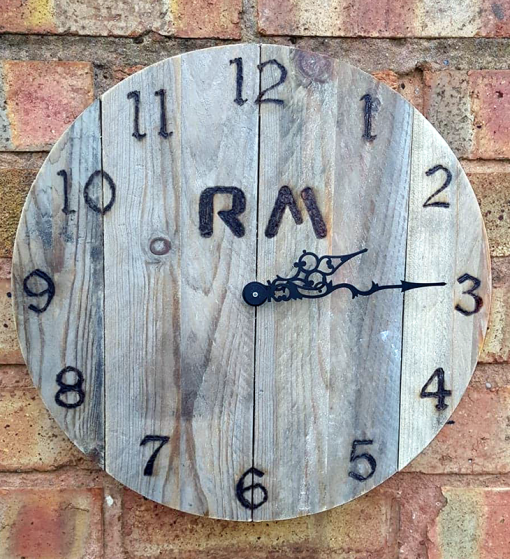 RM Interiors are delighted to present you this handmade wall mounted clock, made from the reclaimed wood complete with a quiet clock movement and battery included. This beautifully hand made wooden clock is the perfect solution for your home or workplace. Finished to a very high standard, these clocks will make a great addition to your home or work. 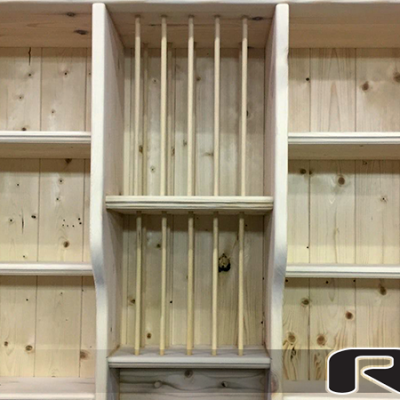 Lovingly crafted in the UK by a true craftsman using reclaimed wood. Finish: Unfinished natural state, ready for any finish you wish to apply. Finish: Distressed paint, duck egg blue (random pattern). Note: The distressed finish is not uniform and it will differ from the photo shown, this could be the colour of the reclaimed wood, the distressing or the patina – each clock will be unique. Photo: Used for guidance only – your item will differ from the one shown on this page. 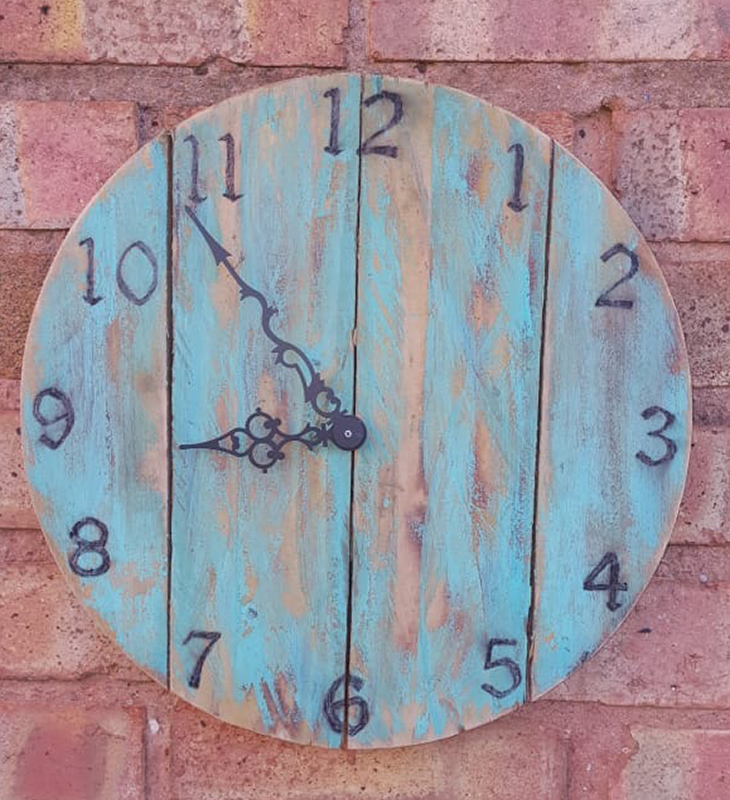 These clocks are hand built and made to order, please allow up to 3 -5 days to take delivery. We aim our best to get this to you as quickly as possible, and will start your order once payment has been received. 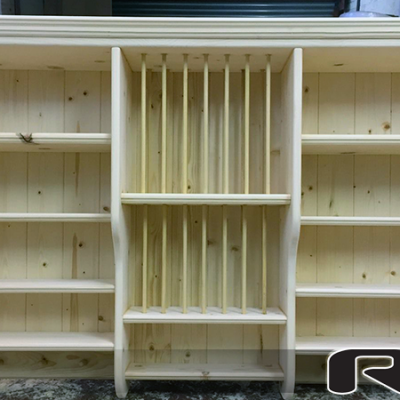 RM Interiors offer a vast range of furniture, lighting and unusual bespoke pieces designed to fit all living areas, bridging the gap between traditional and modern styles. 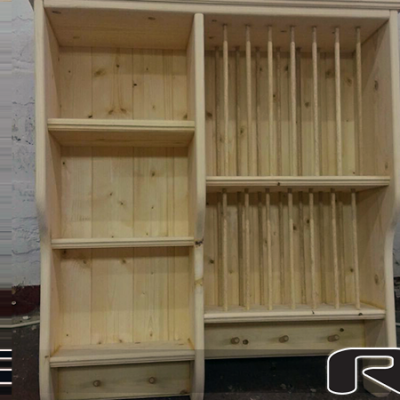 We only source our products from craftsmen who really are masters of their craft and are based in the UK.